Data Science recently became popular. Currently are 154 open job positions on Indeed.com for Data Scientists in Munich. To put it into context: There are 186 Android developer positions open, 527 Dev Ops, 753 frontend, 812 backend. So it's still fairly small, but in the same ballpark. I wanted to have a data-based answer to what a data scientist actually is and created a list of the skill set employers ask for, but it turns out that this would lead to a lengthy and hard to digest blog post. I don't really like the term "data science" as it is too vague to me, but here is how I would define it: A data scientist is a person who applies data science. Data science is an academic field which deals with the extraction of knowledge and insights from data. 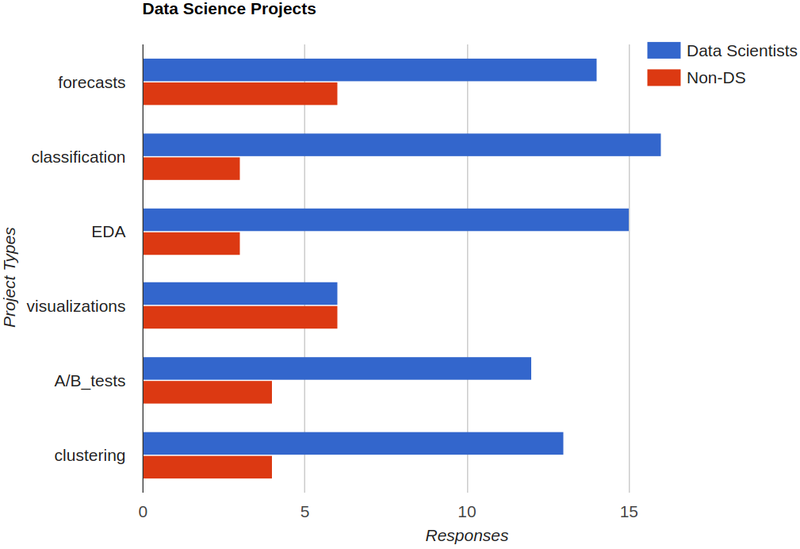 Popularity of Data Science and related terms in books. One can see a linear increase for "machine learning" since about 1975, the term "data mining" exploded from 1992 to 2003. Other related terms like "big data", "deep learning", "information extraction" and "data science" are much less popular in books. 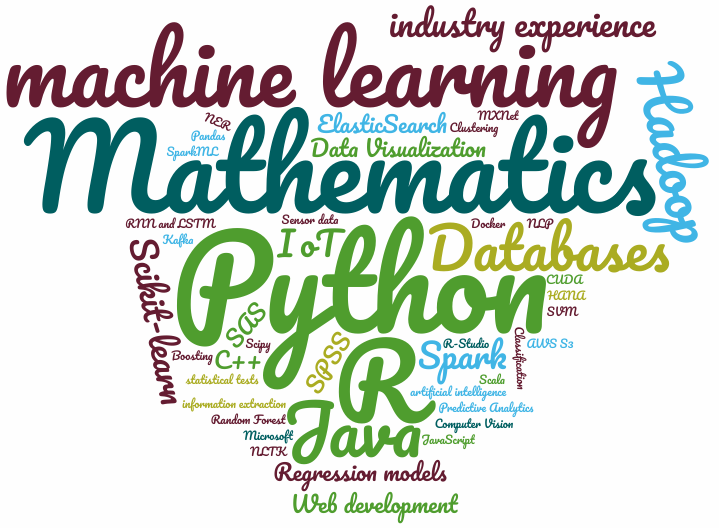 Word Cloud of the Skillset in 10 different Data Scientist job postings. If you're interested how to create word clouds, look here. Some of the requirements are typical senior software developer skills, such as knowledge in Scrum and Waterfall and good knowledge of spoken and written English and German. And some are rather special such as several skills around machine learning (sklearn, scipy, nltk, Theno / Tensorflow / Keras / MXNet) or Big Data (AWS, Hadoop, Spark). EDA: Exploratory Data Analysis. Here is the data - now find something interesting. This is a very unspecific task. Visualizations: Data Science can also be a bit about story telling. You found something which can be explained with exact terminology and words, but it has to be made clear to stakeholders what you found in an simple, intuitive, fast way. From personal experience, I would say that forecasts, clustering and regression are relative common tasks. Of course, one has often to start with exploratory data analysis. I try to avoid clustering and pure EDA tasks as they are ill-defined. You can't say when you are ready which makes it hard to get satisfying results. Both, data scientists and data engineers, deal with data. While the engineer has more ETL-tasks (extract, transform, load), the scientists has more model creation and analysis tasks. Data Scientists and Data Analysts are pretty similar compared to Data Engineers. 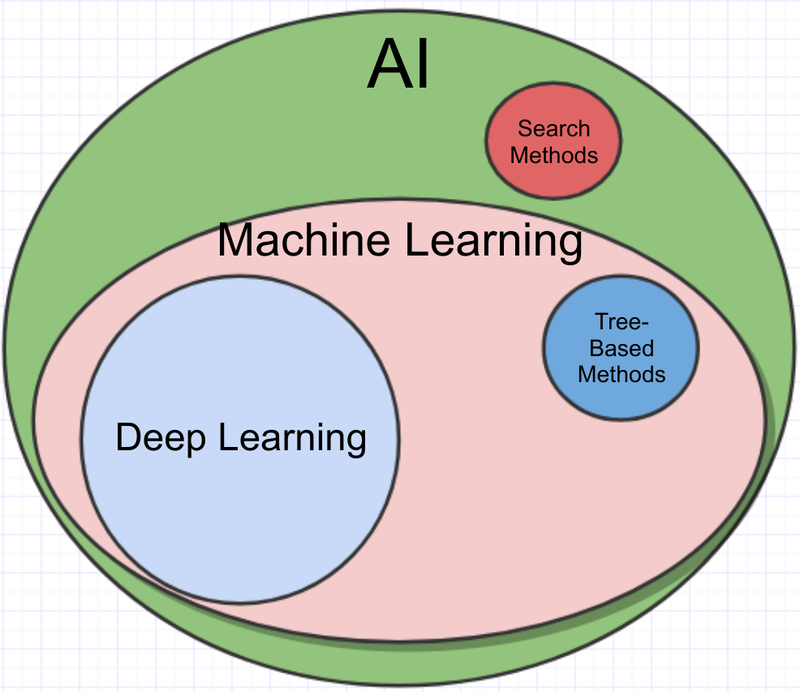 I would say that Data Scientists should also know about Machine Learning algorithms and Frameworks while I would not expect it from a Data Analyst. David Robinsons statement is not a contradiction to mine. I would say you need predictions about the future to take smart actions in a changing world. Now that it is clear what kinds of tasks are common in data science, will continue with blog posts how to make those projects sucessful.